If you live in the midwest you are probably experiencing some pretty interesting weather today. 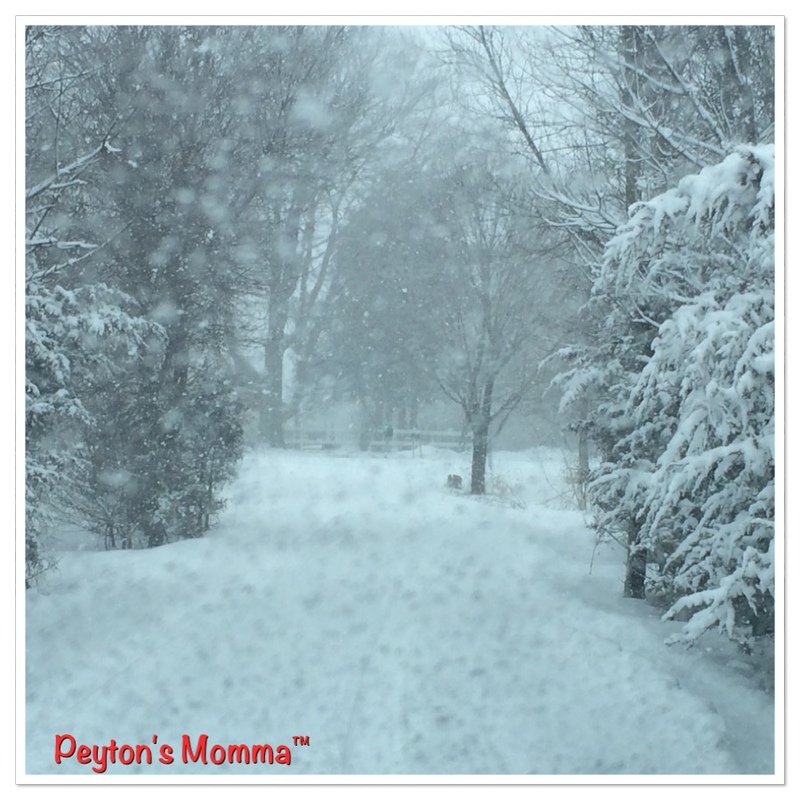 We live just outside the Twin Cities and we have seen everything from rain to sleet to snow today. Schools are already putting out the message of late starts for tomorrow. And I can verify the roads are icy! I had to run over to my grandmother’s house, about 20 minutes away on a dry day, and I could definitely tell the roads were getting very slick. On the way to her house, it was fine but coming back you could see the ice building up on the bridge decks and ramps. I can only imagine what tomorrow morning is going to be like. And by tomorrow night we have an arctic blast of cold air bearing down on us till Sunday. That means there will plenty of ice to go around and it won’t be going anywhere. Ice melt will be relatively useless during this time. But Traction Magic™ won’t be! Traction Magic has so many uses. It can be used on any surface safely without any concerns of damaging paint, seals or cement. Ice melt is a chemical. It can be harmful to us and our pets, it can damage our sidewalks and it can kill our grass. Traction Magic™ is all natural. No chemicals added. So it’s safe for us, our pets, the environment and it won’t damage your cement. Ice Melt does not work in extreme temperatures or on thin ice. Traction Magic™ does. Ice Melt is not reusable. Traction Magic™ is reusable. Ice Melt won’t help you get your car out of an icy situation. Traction Magic™ will! 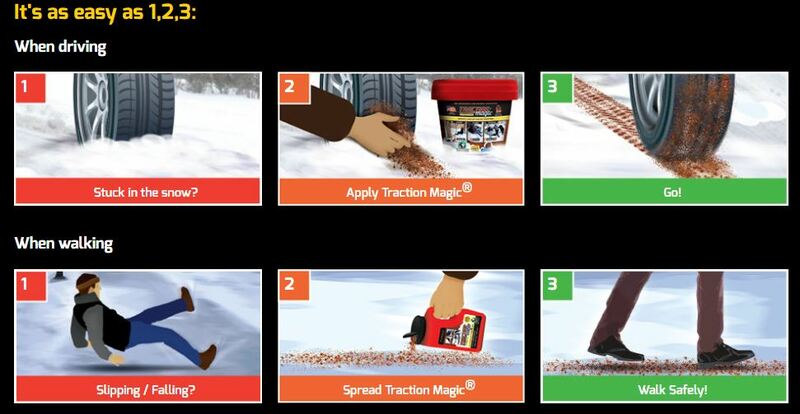 Simply sprinkle the Traction Magic™ around the tires and icy road and you’ll be cruising in no time. So with this arctic blast coming through I will be keeping some Traction Magic™ on hand. It even comes in handy keeping a bottle or container of Traction Magic™ in the car. If you get stuck it works wonders at providing traction to help get you moving again. 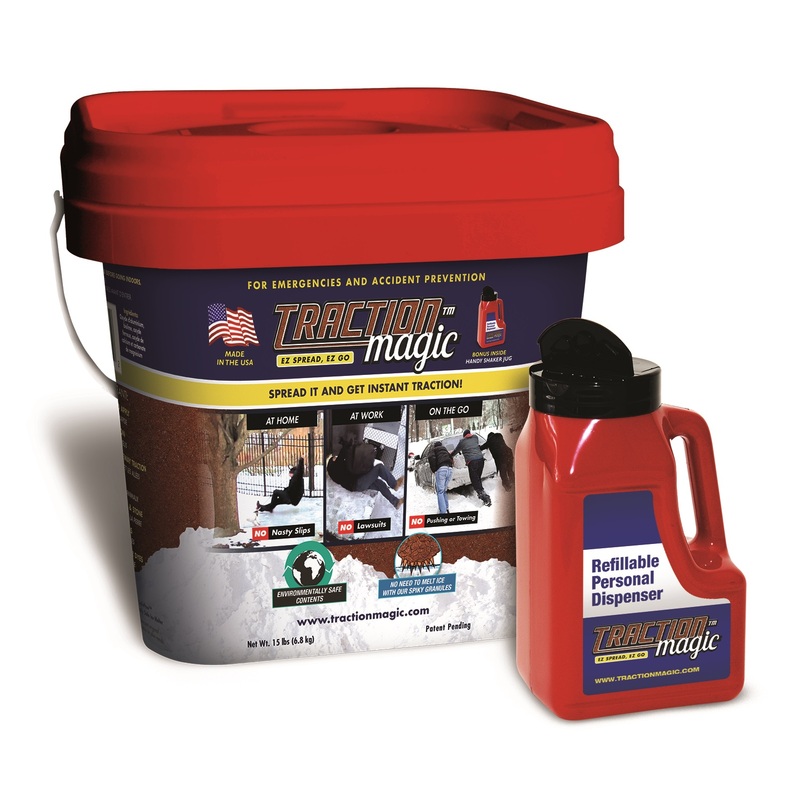 Traction Magic™ can be found at your local Lowes, Home Depot or online at Traction Magic™ and Amazon. Connect with Traction Magic™ online, Facebook, Twitter or Instagram to learn more.